Today’s Awesome Thing Is: This Photo. Explanation: This is a photo I took last Thursday evening, using a long exposure. 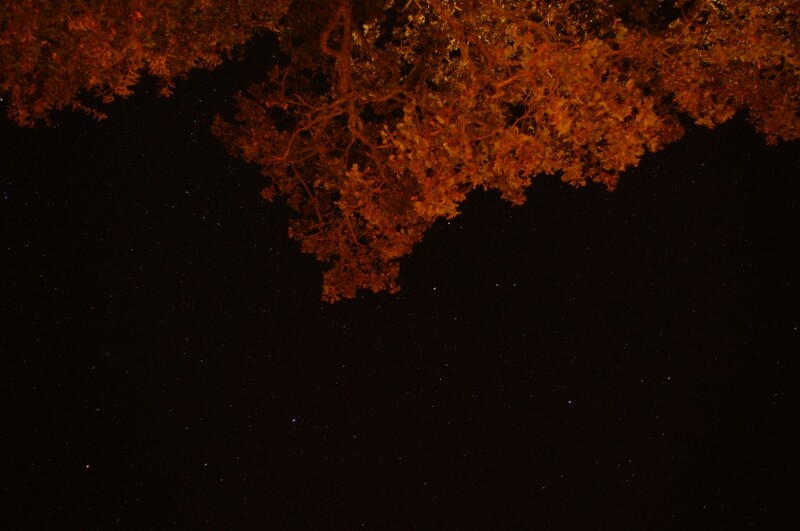 It’s a photo of the night sky, with the underside of an oak tree thrown in for good measure. I took several long exposures that night, and this is one of my favorites. I’ll have more up later, I suspect. Where was I? Oh, I was at a workshop in Sonoma. That’s also part of why I don’t have anything posted for days 28-32. Expect backposts at some point.